Swim For your Life are passionate about everyone swimming well. This article tells us how swimming is changing for the better and addressing the under representation of female coaches and sport executives with Australian sport. Four women – all with a passion for swimming – have been selected to take part in new ground-breaking leadership programs organised by Sport Australia and the Australian Institute of Sport. Aimed at addressing the under-representation of female sport executives and high-performance coaches in Australian sport, the initiative was announced on Thursday morning by Sport Australia CEO Kate Palmer and AIS CEO Peter Conde. Swimming Australia’s General Manager of Performance Tamara Sheppard, Nunawading Swimming Coach Sarah Scott, Head Swim Coach at Abbotsleigh School Amanda Isaac, along with her colleague, the High-Performance Swim Coach at Abbotsleigh School, Leanne Speechley, have all been proudly chosen to participate. Prior to landing her role at Swimming Australia, Sheppard worked across a number of high-profile sporting organisations, including the Australian Sports Commission, Basketball Australia and the West Coast Fever Netball Club. Describing her experiences in the industry as “fortunate”, Sheppard said teamwork and watching people perform at their best enticed her to pursue a career in sport. “The people, and the opportunity to be part of a team drew me to the sports industry. Sport has the ability to inspire and empower and that is truly special,” Sheppard said. 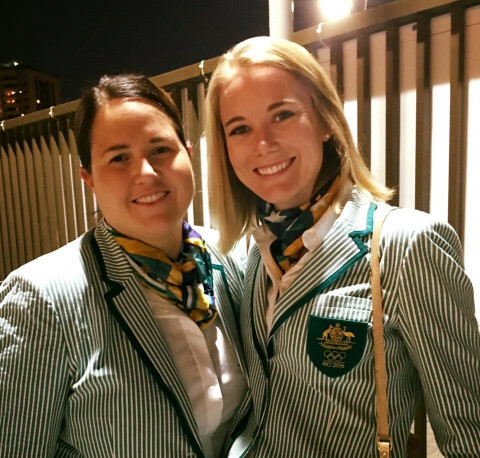 Tamara Sheppard (left) has a passion for sport and feels fortunate to work in the industry. The quartet will be joined by 14 coaches and 15 executives, who will undertake the intensive leadership development programs that will run concurrently in 2019. Sheppard said she is looking forward to developing her leadership skills via three, three-day workshops and a mentor. “I believe that we all have a responsibility to make it easier for those following us when you are a leader,” she said. Swimming Australia CEO Leigh Russell is proud to see four women in swimming afforded this opportunity. Fittingly coinciding with International Women’s Day (Friday 8 March), Palmer said advances continue to be made for elite female athletes in Australia, including some sports making a commitment last month to take steps towards pay equity. But Palmer also labelled the lack of opportunity for women in other areas of sport, particularly executive and coaching positions, as intolerable. “Despite the recent appointment of female CEOs in sports such as basketball, equestrian and water polo, of the 63 sports we fund, only 15 – less than a quarter – have female CEOs,” Palmer said. “Sport Australia will continue to advocate for progress. We will not turn a blind eye to what is an unacceptable and systemic imbalance,” she said. 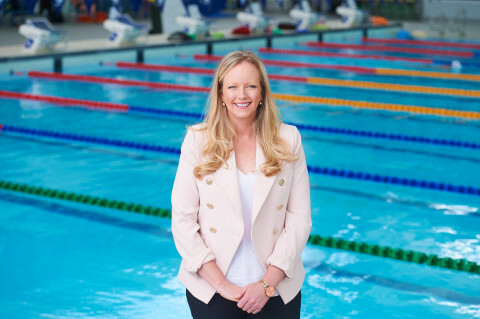 Swimming Australia’s CEO Leigh Russell, who is approaching her one-year anniversary in the role, said society was slowly seeing the normalisation of females in leadership roles. “We do need to understand that we are a part of a bigger tribe, that there are many many women pushing barriers and trailblazing through trying to normalise this thing called gender in leadership,” Russell said. The announcement of the talent programs also coincided with the third annual Women’s High Performance Coaching Forum being held at the AIS on Thursday, which is being attended by more than 30 coaches. Of the 160 coaches accredited at the 2016 Rio Olympic Games, only 15 – or nine per cent – were female. That was down from 12 per cent at the 2012 London Olympics. Conde said the lack of female high performance coaches was an issue across all high performance sport. “This is a systemic issue the AIS is determined to lead on behalf of all Australian high performance sport,” Conde said. “It’s true, there has been a progression in the profile and recognition of female athletes and competitions in recent years, but that hasn’t resulted in more high performance coaching opportunities for women. The programs will begin with their first workshops at the end of March, covering areas such as leadership presence, professional networking and understanding barriers to organisational diversity.